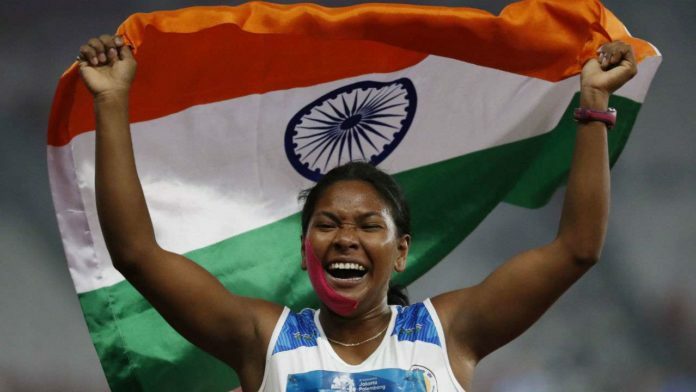 Hailing from a poor background, Swapna Barman had strong ethics to make her dreams come true. She was born in Jalpaiguri, West Bengal. At a young age of 21, Swapna as an athlete has already achieved miles. In 2016, she got a scholarship of Rs 1,50,000 for her brilliant performance in athletics which she used to support her family as her father has been an inactive member since he suffered a stroke back in 2013 and her mother works in a tea estate. She currently trains at Sports Authority of India (SAI) Kolkata Campus. Despite many difficulties she has faced in her life, she has been proving herself regularly as she recently did again at the Asian Games. 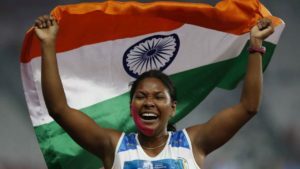 She defeated a tough Chinese opponent Wang Qingling to claim gold in Heptathlon event with an aggregate of 6026 points, which is also a landmark as she crossed the 6000 mark in the event. She was at 5128 points after six events while her opponent was at 5155, the minor 65 points decided the winner as both athletes performed phenomenally. Swapna Barman completed the hat-trick of golds as the latest two events were also very successful for her. She won the Asian Championships Gold in Bhuwaneshwar 2017, Federation Cup Gold at New Delhi in 2017. Previous articleEngland vs India: Predicted XI for the Men In Blue – Prithvi Shaw To Make Debut?